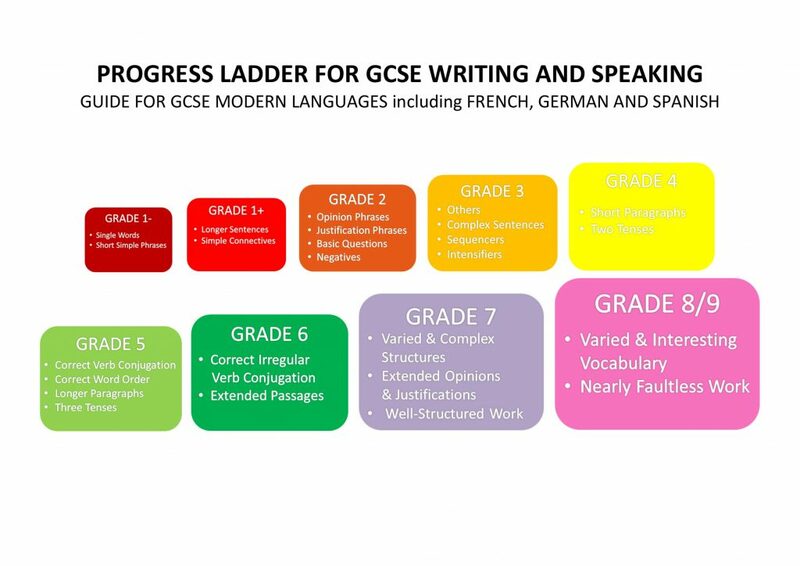 Students often ask me, ‘Miss, how can I get a higher grade in my GCSE German speaking and writing?’ I tell them there are a number of factors to consider, but generally, I tend to guide them to the MFL Progress Ladder, which I wrote about last year, as well as looking at the exam board’s mark scheme. I also suggest that in addition to answering the question (!) 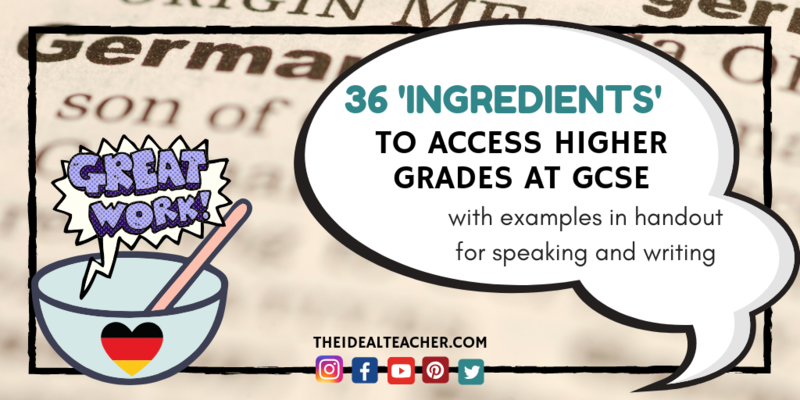 they should include as many examples from the elements as possible from Grade 1- all the way up to their target grade included in the MFL progress ladder. 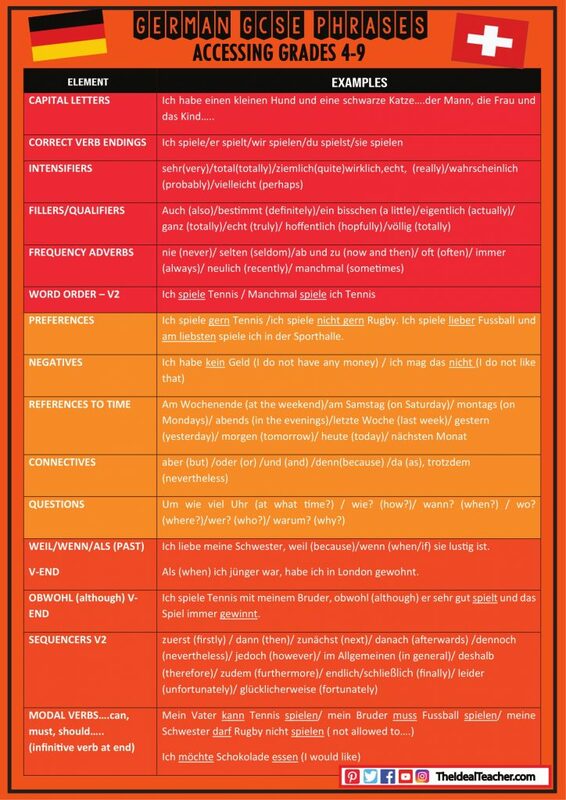 This should be included consistently in any and all of their GCSE German writing and speaking work to have more chance of accessing the higher grades. 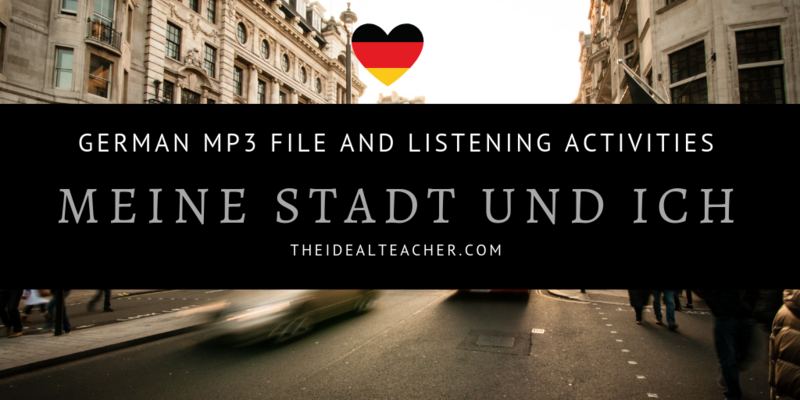 Why Am I Writing About Accessing Higher Grades in Writing and Speaking for German GCSE? 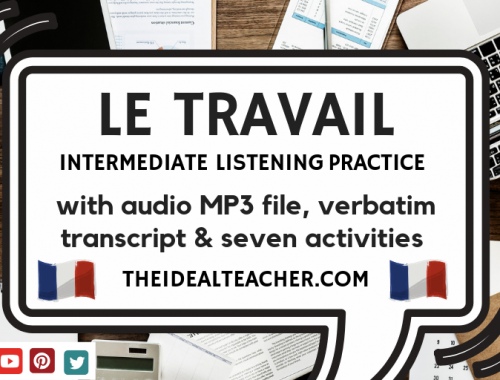 Despite doing this, it recently occurred to me that, although I drill examples of each of the elements contained in the progress ladder with my students, it is quite often the same examples up to grades 5 or 6 that we revise, such as intensifiers, general adjectives, time phrases and structural elements. This stretches and provides revision for students aiming for grades 1-5. 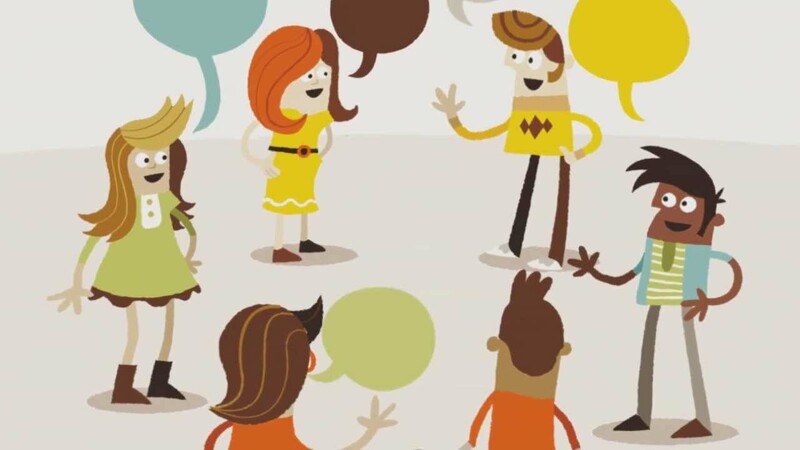 However, whilst I give individual examples to students aiming for higher grades in their speaking and writing, too, during lessons, it isn’t always consistent and I feel they miss out. In addition, there are actually more components that the students aiming for higher grades could suggest. 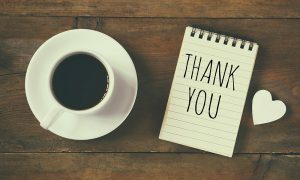 For these reasons, I wanted to put together a useful handout for students to use and learn from, specifically to access higher grades in their writing and speaking (but which would also be helpful when it comes to understanding texts in their reading examinations or questions in their listening exams, too). Therefore, I went on a search (because there’s no point in re-inventing the wheel!) 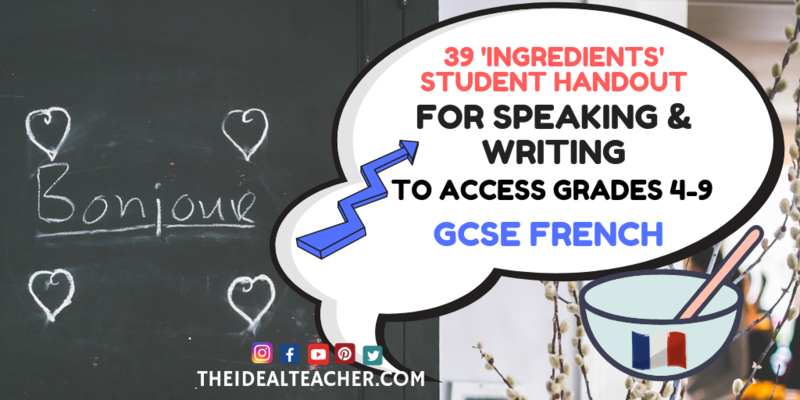 and found some great resources that helped me put this final PDF handout for students, which includes 36 Ingredients for Accessing Higher Grades at GCSE German for Writing and Speaking, as well as many examples of each with translations. Thank you so much to Tottenham9 on TES who gave me some great inspiration in creating this final document. 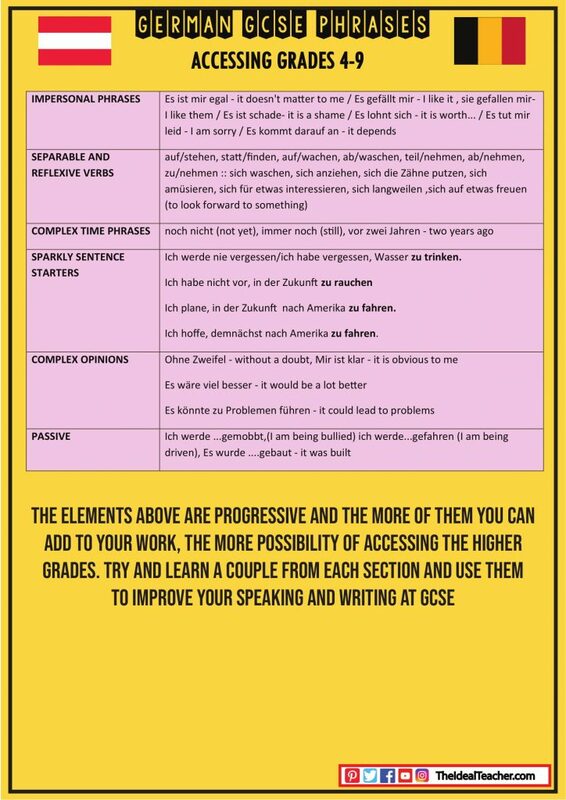 Although this handout: GCSE German Phrases for Accessing Grades 4-9 in Writing and Speaking is mostly focused around students looking to access grades 4-9, there is no reason why students looking to achieve a grade 2-3 couldn’t include some of the elements on the first page, too. 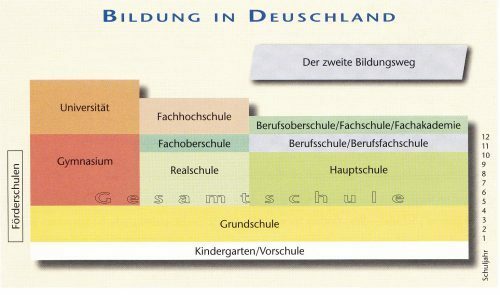 There are a number of ways in which you could exploit the handout for accessing grades 4-9 at GCSE German level in your lessons. With my students, I distributed the handout in the lesson. Students work with it in lessons and on homework tasks to develop familiarity. They will also be tested on the elements at various points, to avoid becoming too reliant on the physical document. As a challenge for those who wished to, I have asked them to go away and add their own original ideas to the list. I will take this in for marking, but it gives the learners ownership of the document and freedom to develop their language skills and competency. 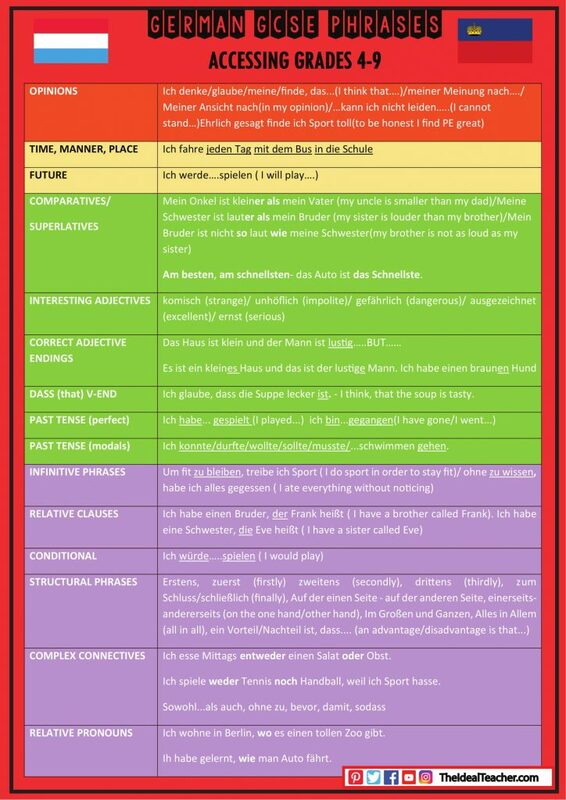 Let me know in the comments below if you found the handout useful for your GCSE German course. Please also share on social media to help colleagues out if it is of use to you.